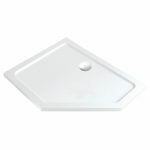 The pentagon shower trays we offer are compatible with all the pentangle showers in our range. You simply need to select the correct size. 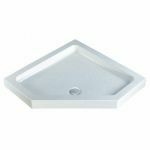 The sizes available include 900x900mm, 1000x1000mm and the offset 1200x900mm. Being such a rare shape and size MX who offer the 1200x900mm make them to order in small batches. 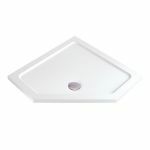 The classic tray design results in a beautiful showering space with a large front access. Two designs are available the deep MX classic and the low profile MX.